In this week’s episode, Robert and I dissect Mary Meeker’s latest report on technology trends, do a deep dive into the elements of the publishing equation that brands are missing, and discuss Conde Nast’s “Magna Carta” guide for native advertising. Raves go to Maya Angelou and a Harley Davidson/Marvel comic book series, and we cap off the show with a #ThisOldMarketing example from C.F. Martin & Co., producer of some of the world’s finest acoustic guitars. Mary Meeker’s New Internet Observations Are Out (3:40): Mary Meeker, a venture capitalist with Kleiner Perkins Caufield & Byers, released her highly-regarded annual Internet Trends report this week, and it’s chock full of insights that have important implications for content marketers. 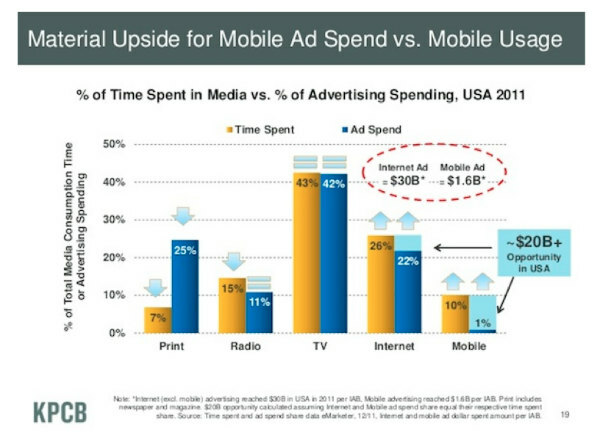 One mind-boggling trend that was highlighted in a Nieman Journalism Lab summary article was that print gets a lot more advertising than it does attention, while mobile is the exact opposite. Robert and I talk about where brands should focus their efforts on mobile (hint: it’s not where you would expect), and share our thoughts on another hot topic: online education. Conde Nast’s “Magna Carta” of Native Advertising (17:38): Conde Nast, publisher of Vogue and The New Yorker, has asked its editors and publishers to review a roughly 4,000-word document that lays out how the company will handle native advertising online, according to an article in AdAge. The article’s author polled other consumer magazine publishers to see if they have codified standards for this technique — at least one is handling it on a case-by-case basis. I explain why this is likely to be a big problem. Helping Brands Take the Plunge into Media… (22:29): Digiday reports that John Shankman, former publisher of The Awl, is bootstrapping his own agency, Hashtag Labs, which aims to help brands function as media companies. Of course, this is a trend that’s already underway, with consumer brands like Coca-Cola and Red Bull leading the way. 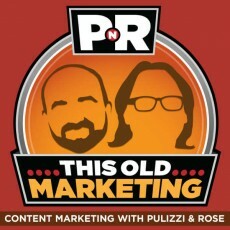 Robert and I discuss why Shankman’s assessment of the future of branded content is spot-on. …And Giving Those Brands a Reality Check (29:50): On a related note, in a column on CMO.com, OneSpot CEO Steve Sachs shared his concerns about the trend of brands transitioning into media publishers. In his opinion, many are so focused on developing killer content that they’re largely overlooking two other critical aspects of a successful publishing strategy. Robert and I discuss why many brand content marketers are still having a lot of difficulty getting budget and support for content initiatives — a topic that was discussed at CMI’s recent Executive Forum in San Francisco. Content and the Competitive Analysis (35:00): We also discus a pair of articles, one from Search Engine Journal and one on Christopher Penn’s blog, that focus on competitive content analysis. The SEJ piece lays out a simple process for conducting this type of audit, while Penn’s post cautions that its role should be limited to providing context for your content marketing strategy — not serving as the primary focus of it. Robert shares his opinion on why competitive analysis really matters, while I talk about its role in helping to drive differentiation and mention some great books to read if you want to learn more about this important topic. This Old Marketing is once again being sponsored by Emma — email marketing for the modern brand, featuring mobile-responsive templates, social integration tools and concierge services. Emma is promoting an informative infographic it has created: 18 Email Stats Every Marketer Needs to Know. You can check it out at http://bit.ly/email-pnr. Robert’s Rave: Maya Angelou, who recently passed away, was a huge influence on Robert when he was in college, and continues to have an impact on how he works with clients, audiences, and others today. Besides being a renowned poet, Angelou was a talented author, director, dancer, and singer, playing all of these roles with finesse, artistry, beauty, and skill — a masterful creator of content that mattered to many people. Joe’s Rant: I recently viewed a list of “The 10 Things You Don’t Know About Frozen,” the blockbuster Disney movie. But it took 55 slides to get through those 10 facts, because it turned out to be a blatant ploy to deliver ads. The lesson for content marketers: Don’t annoy your audience by making them jump through many hoops just to view your content! Joe’s Rave: While I was looking through a comic book with my son this week, I came across an ad for a comic series called Road Force, in which the main character protects the world from evil invasions on customized Harley-Davidson motorcycles. This customized publishing initiative between Marvel Comics and the iconic motorcycle brand began in 2011 and continues to expand. Kudos to Harley for this very cool tie-in with the world of comic books! C.F. Martin & Co.: This legendary manufacturer of acoustic guitars has been focused on the needs of serious “axe” aficionados since the mid-1800s. Starting in 1996, Martin launched a newsletter called The Sounding Board. 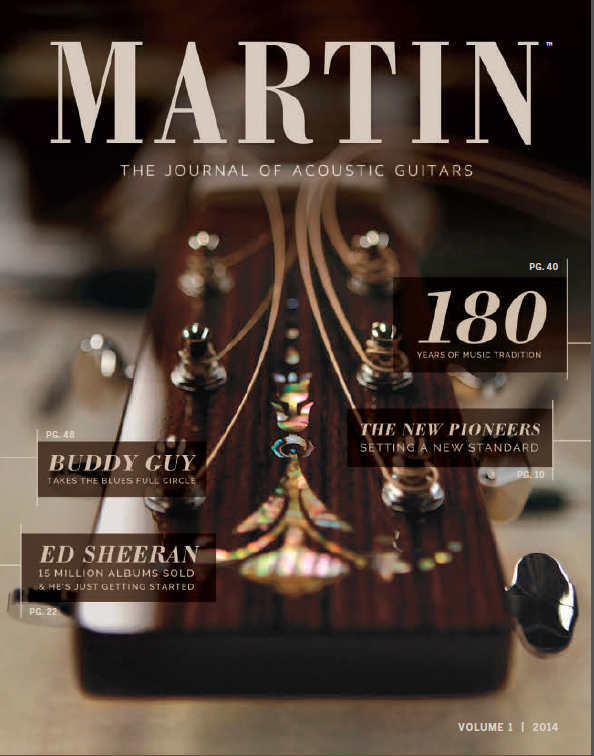 This publication was recently integrated into a new magazine, The Journal of Acoustic Guitars, which goes even deeper into telling the Martin brand story. Customers can experience the history of Martin guitars by taking a factory tour and visiting the museum at its headquarters in Nazareth, Pennsylvania. The museum concept was recently expanded to include a traveling exhibit, which is currently at the Metropolitan Museum of Art in New York. Robert loves how Martin has taken one platform and evolved it into a complete buyer’s experience for a specific persona — the serious guitar player.